Barbados is a magical island full of wonder and surprise. Every corner has something different to offer. The North & East parts of the island are rocky, mountainous and constantly pounded by the Atlantic waves and wind. Moving down to the South East there is great kiteboarding, surfing and sun bathing beaches. The famous West coast of Barbados is home to some of the finest and most prestigious beaches of the entire Caribbean sprinkled with Michelin star restaurants. You can never tire of being here. People here are warm and friendly giving you a sense of peace and tranquillity. Barbados has something for every traveller making it a perfect destination to bring your family or your buddies. 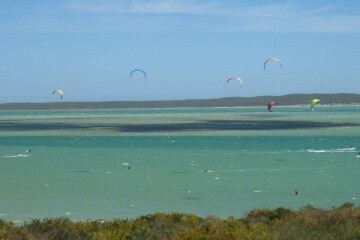 Silver Sands (SE) – De famous ‘Action man’ Brian Talma hosts his kite and windsurf school here. The shop has rental facilities for windsurfing, surfing, kite boarding and SUP with lessons offered in these activities right there on the beach. In addition to the shop you will find a snack shack which serves beers, burgers and flying fish sandwiches! The spot is on the south east of the island where a barrier reef sweeps down from the East parallel to the coast roughly 400 meters out from the beach. The full power of the Atlantic breaks out on the reef offering great kite waves with side shore wind. This results in much calmer water conditions in front of the beach which is great for all levels & freestyle. The launch area – is located in a wind shadow so many people have a hard time launching safely. Can be crowded and you may have as many as 30 kites to battle for space with in this area. The beach break – can be heavy especially during high tide so take care when getting in the water. Rescue – if you find yourself in trouble floating down wind, De Action has a rescue boat and they will come and save you for a small fee. Portuguese Man of War – Occasionally these jellyfish will blow inside the reef. They can leave a rather nasty sting. Immediate first requires cleaning the area with razor and salt water (not fresh!). If you are able to urinate on the area the ammonia helps considerably! Long Beach (SE) – Located just one km north of Silver Rock Beach you will find a beautiful spacious beach 1.5 km in length with steady side onshore wind. There is plenty of space to launch and ride with very few people around. It is possible to drive right up to the beach parking in the shade of the trees making life much easier. There are no facilities near by so it’s best to pack drinks and food. Rescue – No rescue services. 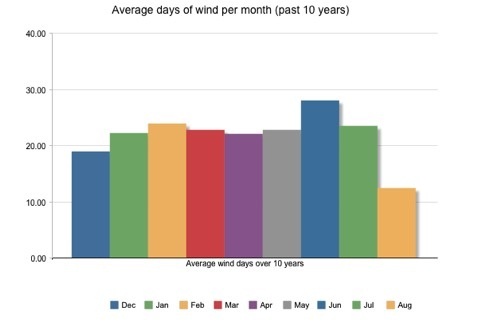 West Coast kite options – It is possible to kite off the west coast however only by boat because off the offshore wind shadow. There are numerous options for boat charter including zodiac’s to luxury catamarans if that is your style. I would recommend this for more experienced kiters. Bring kites for wind ranging between 12 – 22 knots. – Barbados has some of the best surf breaks, most widely know is the Soup bowl. You are pretty much guaranteed a break no matter which way the swell hits the island. There are a variety of conditions for every level of surfer. – Friday & Saturday night head out to taste the best of Barbados seafood. Enjoy the local DJ playing a variety of reggae and local music while drinking a Carib or Banks beer. – see the magnificent coast line of Barbados aboard one of the many booze cruises or relax in complete style with our friends Ryan & Rebecca. – explore the islands huge array of geography and flora/fauna by bike. – get inside the island by seeing what it’s really made of. This safe and jaw dropping tour will be fun for your entire family. – Always a favourite try not to miss the famous Bajan rum tours! -For the sporting enthusiast or something different checkout for another perfect experience! – The island is surrounded by reef and there are many shipwrecks on the south western side of the island. 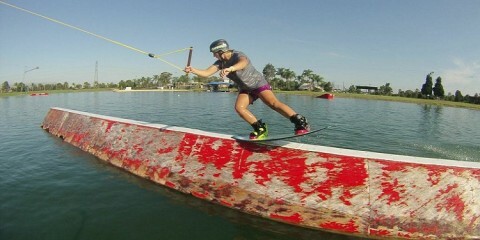 Nick Hall & Jessica Winkler first met in Mexico while working as kiteboarding professionals on the Yucatan peninsula. Jessica (Canadian) is a professional athlete with sponsorship from Adidas and Shinn (amongst others) holding some impressive achievements including 3rd place in the women’s World Speed Championships and 1st place in the Mexican freestyle championships 2013. Nick (GB) grew up in a world of hospitality which makes him a perfect host. His other talents include motorsport, marksmanship and anything to do with the water! He grew up as a strong swimmer and worked as a high level diving and rescue instructor for some time in Mexico and Curacao before moving careers to kiteboarding. Together Nick & Jessica are a strong and inspiring couple who enjoying social occasions, fine dining, water-sports and spending time with their feet up in front of Netflix! Their healthy sense of adventure took them on a 120km kitesurfing journey along the Brazilian coastline… without support!